The kids are in school, I’m tired of my regular summer uniform, surely it’s time to break out the sweaters? My heart says yes but the thermostat says no, with temps expected to be solidly in the 80s for the weeks (possibly months) to come. But this morning felt a little crisper, and the evenings will soon be cooler. It’s not quite sweater weather, but I am going through my closet (especially since I’m about to hit the road for book tour! ), making sure I’m ready for cooler weather. 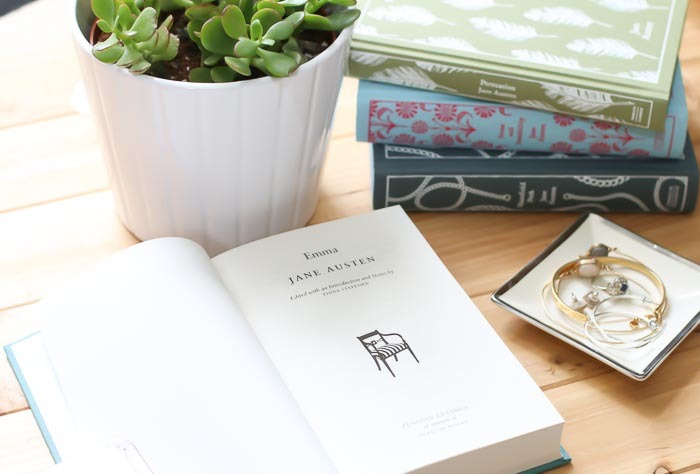 These are six favorite pieces I rely on to gracefully carry me from summer into fall. This is a new piece I added to my closet this year. I love how you can layer one of these over a t-shirt, button-down, or even a dress and instantly look put-together (and feel a lot cozier). Bonus: a long vest gives you a nice long line: a definite plus in my book. This simple layer adds style, warmth, and if you like, a burst of fall color to your familiar summer outfits. I often slip one into my tote bag so I’m ready for the changing temps throughout the day. I just ordered this J.Crew cardigan for myself (in cerise, though I was tempted by this polka dot one). 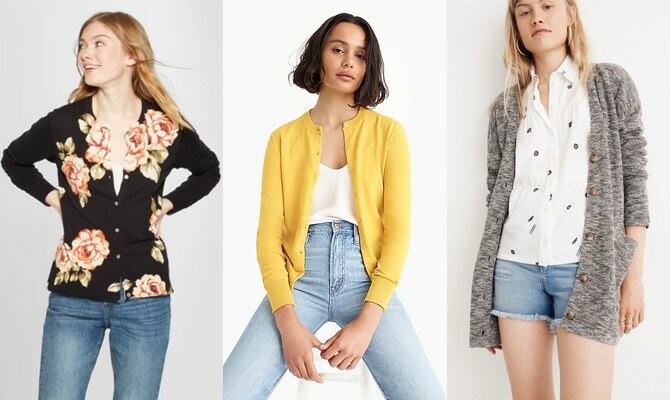 I’ll be layering my cropped cardigan to carry my summer dresses into the cooler months, and my longer neutral cardigans look great with simple tops, jeans, and a nice pendant. If it’s just a bit cool out, tie it around your shoulders for a little extra warmth and a pop of color. I love the classic casual look of jeans and a blazer. It’s put-together, but not fussy. I’ve been wearing my striped blazer from J. 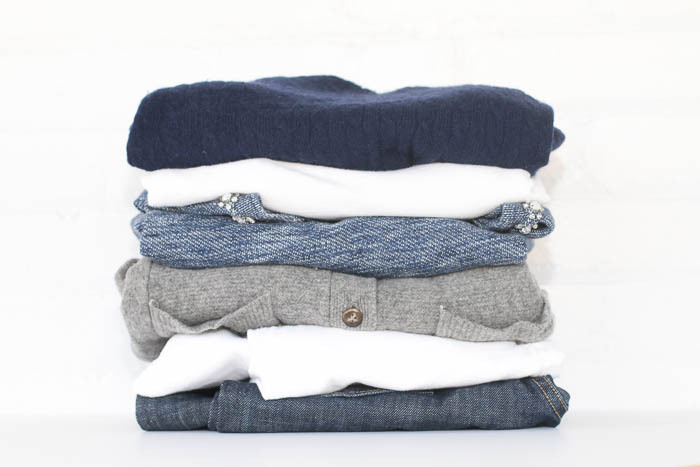 Crew factory for years now, most often with jeans but also layered over my sleeveless dresses. It doesn’t get more versatile than this. 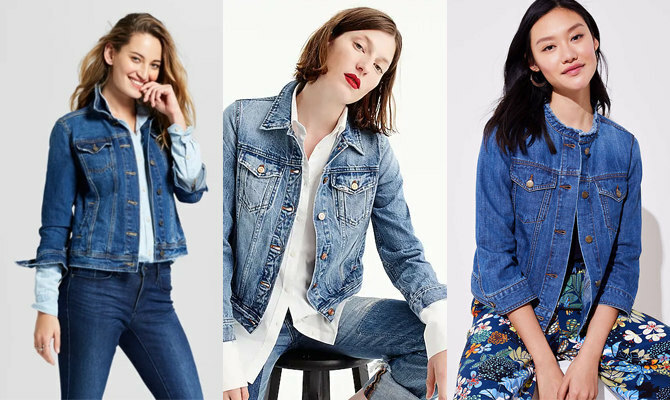 The jean jacket goes with anything (especially since denim-on-denim is no longer a no-no), and a cropped style looks especially good with dresses. Toss it on top of your favorite summer outfit for an instant fall vibe. Better yet: even if I shove my jacket to the bottom of my tote, it still looks fresh and crisp when I put it on. If you don’t need your scarves just yet, the right necklace adds color and drama—even to a simple tshirt and jeans—without the added warmth. 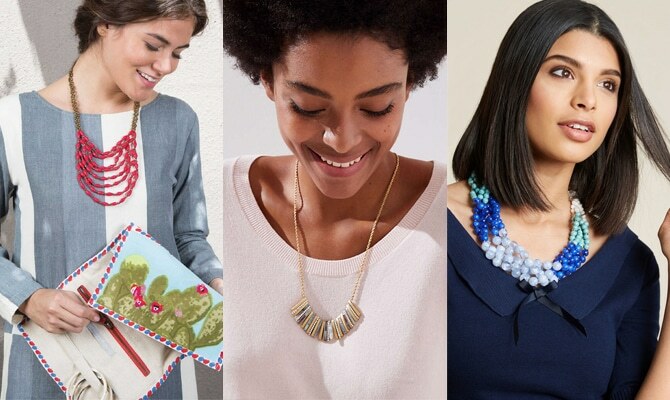 Plus, a great necklace can take your usual tee and jeans and transform it into an outfit. My natural inclination is to choose small jewelry, but I’m happier with my outfit when I choose a piece that has presence, like the ones pictured above. Are you ready for sweater weather? What are your go-to summer-to-fall transition pieces? 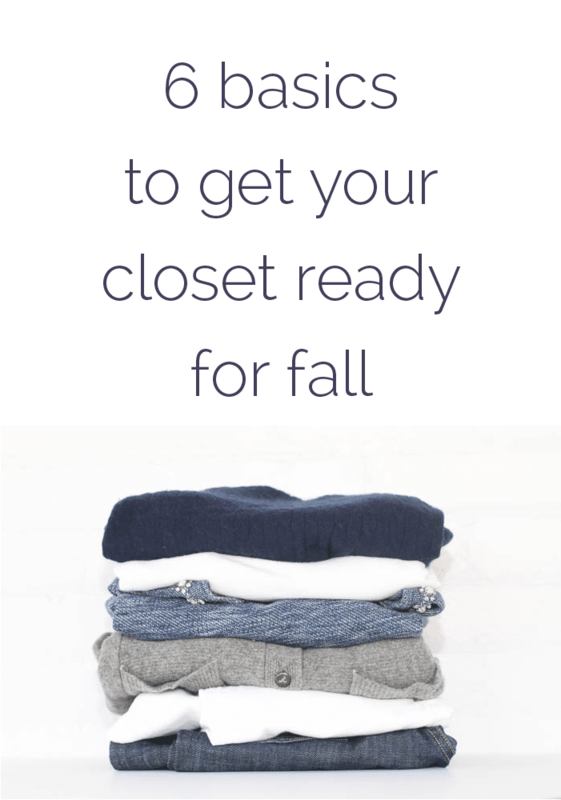 What fall pieces are you most ready to haul out of storage? Previous: 2018 survey results are in! I broke out a pair of jeans yesterday for the first time since Spring and it was wonderful. There’s always the chance of high 90s/low 100s for at least another month though so I won’t be getting used to it. I am so ready for cardigans. I wear them all year at work (chilly office) but to just put one on over a T-shirt on the weekend is pure heaven. I love cardigans as well especially the longer length ones. I am constantly on the lookout for 3/4 sleeves tees but never more than now with fall in mind. An elusive item in my experience. Any suggestions as to store or brand I should look to? Kim, Talbot’s has great 3/4 sleeve tees. Kim, I like J Jill’s tees. They have a boatneck, 3/4 one I like. 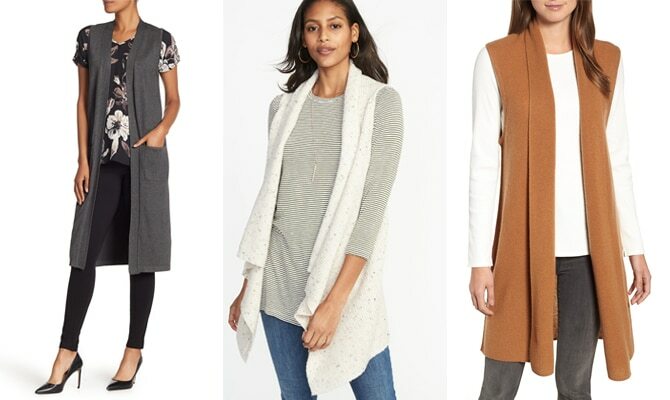 The sleeveless cardigan is a lifesaver! 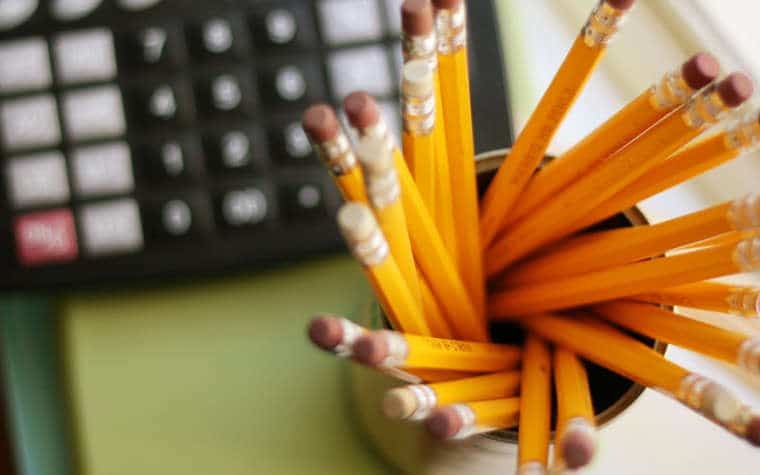 As a mom to many young children with an ever changing body, mine has fit through it all and the drape in the front covers a multitude of lumps and bumps. I just recently ordered a couple more to try different colors, but my basic black one has seen me through many days. I’ve never heard anyone else rave about them before, well done! I struggle with transition shoes. I have problem feet and need arch support. I want a shoe to wear in the fall when it is too cool for sandals but not cold enough to justify winter socks and clogs. I have one pair of Sperrys, but cannot wear them too often because there is just not enough support. I need to look into sleeveless cardigans! Check out Earth or Vionic shoes on Zappos.com! I didn’t know denim on denim was no longer a no-no. I’m sooo excited! 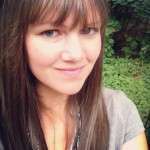 Noonday jewelry! Makes me swoon – and the stories behind the company and the artists even more amazing. I just opened 5 boxes last evening of delightful Noonday jewelry. I love the polka dot cardigan Anne! 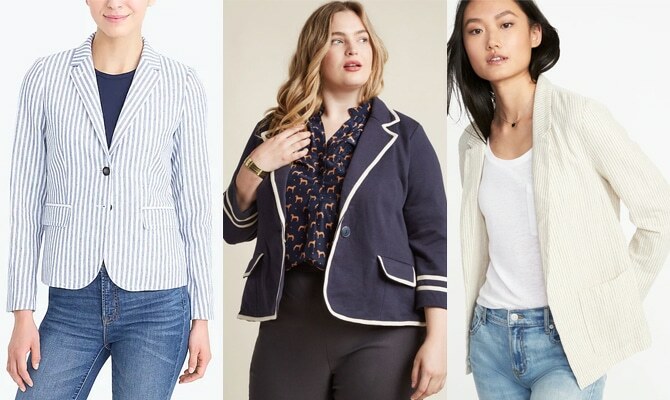 I just splurged on some transition-to-Fall pieces on ThredUp, including a couple of cardigans and two denim jackets. Score! I LOVE FALL AND TRANSITIONAL PIECES!!! Haha, sorry but I’m so excited because it’s the most beautiful day out here. I’ve been waiting all summer for this! My favorite transitional pieces are slide booties, light trenches, and long dresses (usually too hot for the height of summer because of their material). These all make me so happy. Today I’m wearing a stretchy long dress and it’s perfect for the temperature! Go back and get the polka dot cardigan – you’ll be glad you did! We’re in south TX, so still blazing hot, but I am thinking longingly of sweaters. I have been trying to use a few more “completer” pieces in my wardrobe – lightweight vests are wonderful!